in the first place, but if they do, they visit the Cayman Islands. Caymania, the world’s biggest hedge-fund venue and fifth-biggest bank center offer a " full range" of offshore financial services and products. No need to hide your money under the matress here- It's wash and go! Yet, it seems like this place needs a US bailout and some bonus money too. I'm not feeling the "tax me if you can" neuroeconomics vibe here. How cool I get to witness the demise of the offshore Tax Haven Industry. 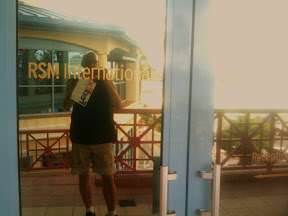 I thought places like Grand Cayman would leave a mark in "Wealth Preservation". They will be lucky to make a stain. PPL people are pissed off, mad, and bent out of shape at investment bankers. The traders, "strats" and "quants", the mathematical reptilian brains who came up with cryptic trading formulas, shot "interest rate swaps", "no credit defaults", "regular vanilla and extra crispy options; and their counterparts, the Math Atheists, the AmeriCon Sales-men with their bid-ask spreads", "bunds", and "bobls". What ever happened to "I bet On Jerome (Kerviel, the rogue trader at Société Générale)" and craving the high risky trading can bring? There's a whole lot of nothing on Grand Cayman, Seems the Hedge Fund Banksters who took advantage of its tax laws, did a few loads of laundry, hid their fiduciary ASSets and disapeared have joined the w2 world of work again; going from stock investors, they've all become currency traders. There in their J Crew at Barnie's Coffee Shop talking about The "Don't Worry Be Happy" post Ronald Reagan-omic years, as Neil Diamond's Forever In Blue Jeans is the musak. 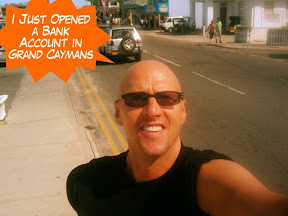 Earthqauke Survivor Ed Reif "Proof of Life" as the epicenter of offshore tax evasion gets pounded. after a 5.8 magnitude Act of God rattled the Caribbean hedge fund center of Georgetown. No one was hurt. Chalk the secon one ABOVE as a win by deFAULT. Ed was busy living happily ever after ,but was mindful of the 7.0 seismic monster that devastated much of the capital of Haiti, Port-au-Prince a week ago..